Entering or returning to the workforce? Compiling school-related community service experience? …become a Museum Volunteer and help provide each guest with an enriching Museum of Arts and Sciences experience. Develop new skills or share your expertise in an atmosphere of teamwork, creativity, and vision. High school students must be at least 14 years old to volunteer. Volunteer program opportunities for students begin twice a year in September and April. Volunteer opportunities for adults start in September and January. Please note that we, unfortunately, are not able to provide court-ordered volunteer opportunities for students or adults. Learn more about the world through our programs and exhibits and share that knowledge with others. The Museum Guild is a fundraising and fun branch of the Museum. There are two events for which the guild is responsible: Father & Daughter Dance and Pet Show. Annual membership is only $25. Learn about animal care, conservation and environmental education in a long-term volunteer commitment. Our goal in the Mini-Zoo is to provide a learning environment for teens in which they can develop skills for life-long success. Applicants must be at least 14 years old by the application deadline. Due to the nature of our program and the hands-on training that it entails, we do not offer one-time community service opportunities for school or court-appointed teens. Keeper Assistants help with the daily maintenance of the animals and Educators offer information to guests. Recruitment for Zoo Crew members occurs each spring. Teen volunteers are required to commit 24 hours per month for a three month period (June, July, and August). Also, teens must commit to helping during one Family Day Event. After participating for at least one summer, teens 15 and older are eligible to apply in the fall to volunteer year round. Becoming a Zoo Crew Docent is an excellent way to help the community by enriching the knowledge of conservation and environmental education. Adult Docents also assist with animal enrichment activities. Applicants should have interests in children, conservation, and environmental education. Presentation and public speaking skills are a plus. Applicants must be at least 18 years old by the application deadline. Enrichment Assistants help with daily animal enrichment including the Geoffrey’s Tamarins. 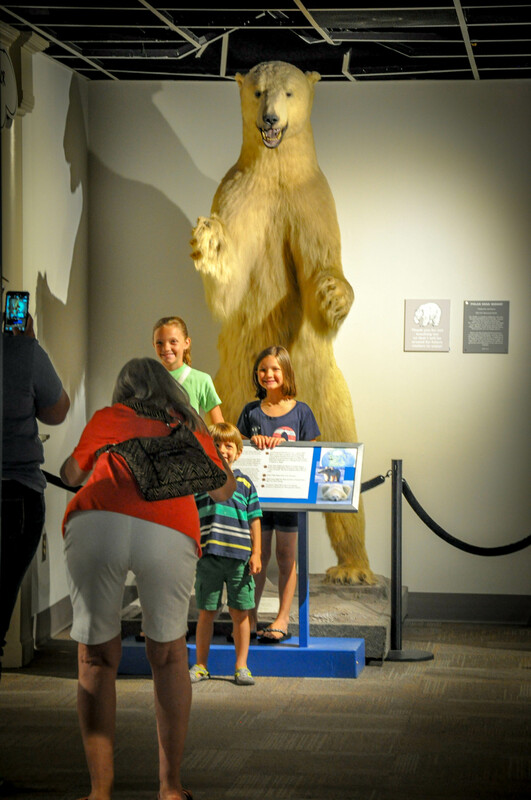 Educators enrich guests’ experiences by offering information and answering questions. Participants commit to one or more days per week regularly. A general workday is 9:30 am to 4:00 pm, but times may vary. Applications for teens and adults are available at the front desk of the Museum. The application process is selective, including letters of recommendation and interviews for finalists. A series of training classes is required. A fee of $25 covers the cost of a docent shirt and training materials for Adult Docents. Amerson Water Works Park is the former site of the Macon Water Works which served the city’s water needs for over 100 years. It was irreparably damaged by a flood in 1994, and the land is now redeveloped by NewTown Macon as a passive park. It includes a prehistoric natural lake, miles of riverfront, a large open meadow, and wooded trails. It currently houses a picnic pavilion, the only handicap-usable playground in Middle Georgia, a canoe launch, and miles of trails. Volunteer opportunities include education (school programming) and trail stewardship for simple maintenance projects.